Do you leave your dog’s collar on 24 hours a day? Do you leave your dog’s collar on 24 hours a day? Well, you could be placing your pet at risk! Leaving a pet’s collar on at all times can have some very dangerous consequences that could land your pet in the hospital or worse! 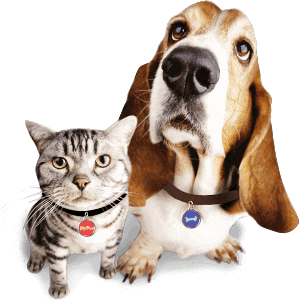 At minimum, leaving your pet’s collar on 24-7 can cause damage to the coat and skin of the neck. It can cause the hairs to break and deform; once the hairs are gone, the collar can cause irritation due to the friction that occurs when it rubs against bare skin. The serious risk associated with collars is the strangulation hazard. The collar can get caught, causing the dog to panic, which usually only makes the situation worse. This can lead to injury and strangulation. “Years ago, my pug had a habit of sleeping on the hall air vent due to the warm air flow in the winter. It was a large, heavy cast iron vent cover in our Victorian home. One day, the collar loop got caught on one of the decorative loops on the air vent. He was home alone and he panicked; he ended up pulling the grate out and dragged it around until it came loose. My poor boy ended up with cuts and bruises from the experience, but it could have been so much worse,” explained pet parent Geno Storey. Collars can get caught on a wide range of items, from miscellaneous furniture hardware, to heating vent covers and – in particular – dog crates. You should never leave a dog alone in a crate with a collar. And it’s best to remove your pet’s collar when he’s home alone or unsupervised, especially for a long period of time. 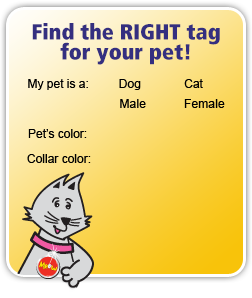 Also, it’s important to ensure your cat is wearing an appropriate collar. Cat collars are, by definition, also breakaway collars. So with adequate force, the collar will “break away” to prevent strangulation. Some also have elastic segments that allow the cat to slip out if necessary. Ensuring your pet has the proper collar and collar-wearing habits, you’ll ensure your pet stays happy and healthy for years to come! 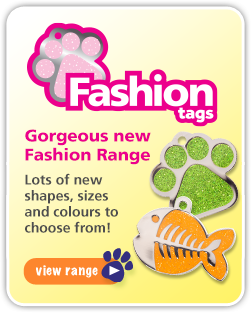 And you’ll also want to ensure your pet’s collar has up-to-date pet tags, so he’ll find his way home.